I have a lightning particle that gets shot at the ground. I want the particles to collide with the object they hit and add an upward force. 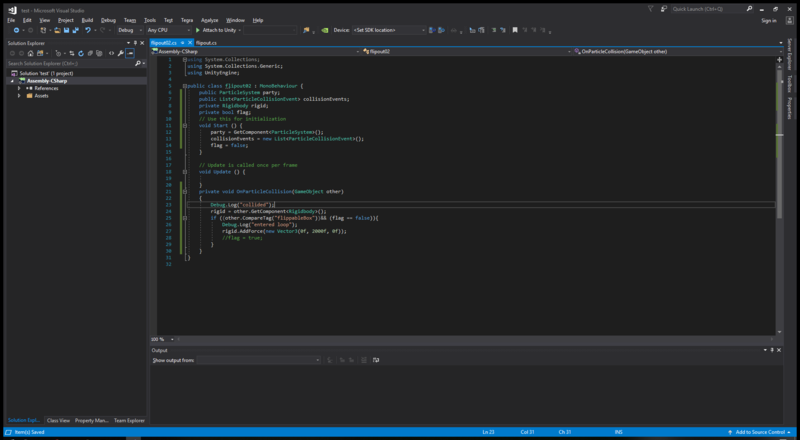 I tried just entering a negative force in the Collider Force tab but it defaults to 0. If anyone knows a way to do this it would be greatly appreciated! Edit: I want to send the cube in the photo upwards by adding a force on its y-axis. The Particles should remain as they are. I hope that what you are trying to achieve is to make the particles bounce back from a surface. I do not think we need collider force for that. Just set bounce value to non zero. That should work. 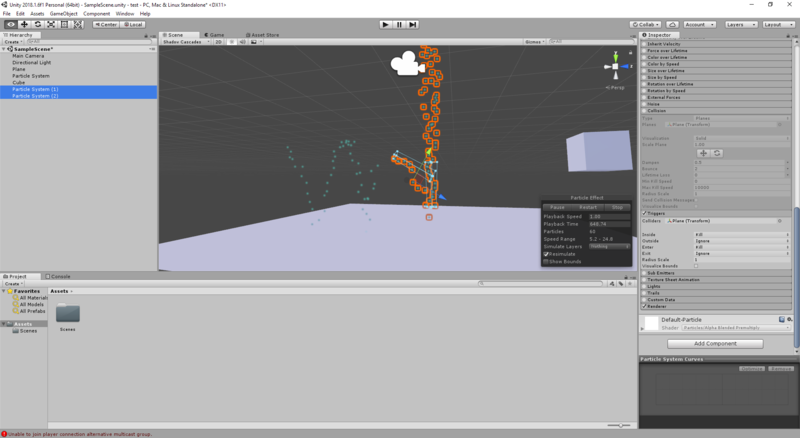 If you want the particle rebound to go upward only, use the trigger section just like you would use BoxCollider2D. Use another particle system to send particle upwards. 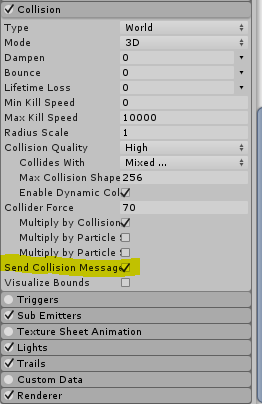 Particle system has a list of collision events. This script checks collisions and matches tags. If tags match, then action is executed. Uncomment flag= true if you want only one collisions. Not the answer you're looking for? Browse other questions tagged unity physics collision-resolution particles or ask your own question. How to freeze particle system?